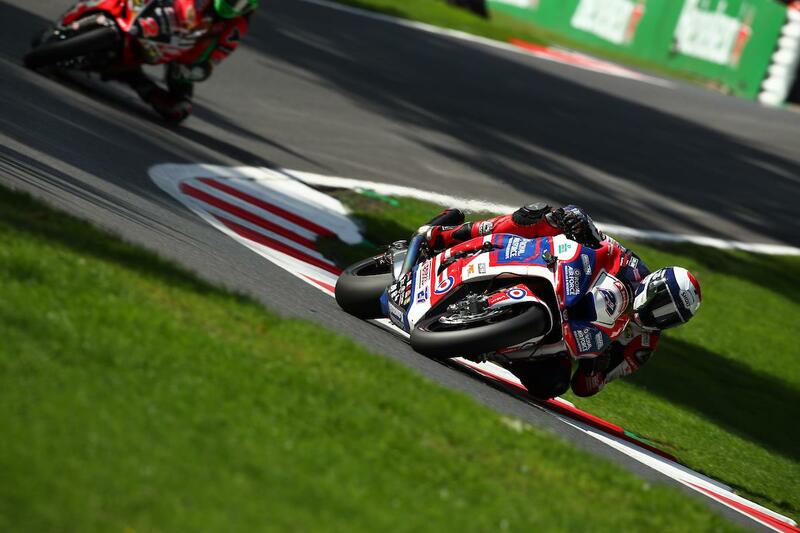 Jake Dixon led the way as the eighth round of the 2018 Bennetts British Superbike Championship got underway at Cadwell Park. The RAF Regular and Reserves rider battled through a mystery illness to post a time within 0.2 seconds of Leon Haslam’s outright circuit record to top this afternoon’s second practice session. Dixon’s impressive time placed him 0.5 seconds ahead of best-mate Danny Buchan with Haslam, who didn’t use fresh rubber at the end of the session, third quickest. The top three in the morning’s session, Haslam, Glenn Irwin and Dixon were split by just 0.04. Despite injuring his shoulder in the closing moments of morning practice, Ducati’s Irwin was fourth fastest in the afternoon ahead of Suzuki’s Bradley Ray, who is determined on bringing home solid points this weekend after a tough few rounds. Michael Laverty showed a glimmer of hope for the struggling Tyco BMW squad to place sixth quickest ahead of rookie Andrew Irwin. Still suffering from the kidney infection that hospitalised him during the last round, local star Peter Hickman was ninth with Christian Iddon rounding out the top ten. It was a tough day for winner last time out Josh Brookes; tenth quickest this morning the Aussie rounded out the day 14th on the timesheets after losing the front at turn two mid-way through the afternoon session.